has stormed all day. Margaret Norton married. As on so many other Sundays, the Ames family went to church. Evelina stayed for both services and spent the intermission with her sister-in-law, Henrietta Williams Gilmore at the parish house. Eliza Whitwell, the minister wife, no doubt offered them a cup of tea and other refreshments. Evelina’s mother probably sat with them, too, before leaving for the Gilmore farm. Old Mrs. Gilmore and her daughter-in-law, Henrietta, may have been privy to a marriage ceremony later in the day, when a servant of the Gilmores named Margaret Norton was married. 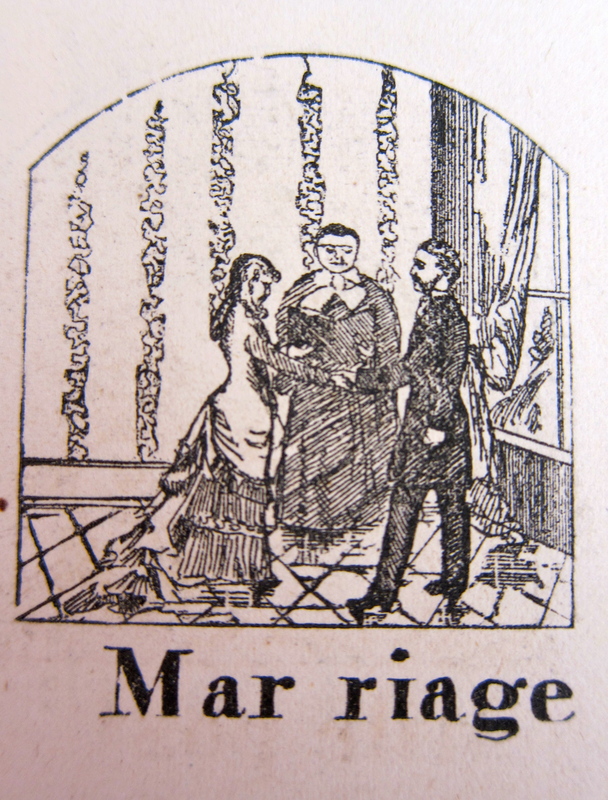 Before the Civil War, it was customary for marriages to take place at home. As historian Jack Larkin has noted, “Most American couples were wed by a clergyman at the home of the bride, in […an] informal ceremon[y] of republican simplicity.”* But Margaret, besides having no home of her own, was from Ireland and thus probably Catholic. She may have been obliged by Catholic practice to marry in the church, possibly the new church that had just been built. Orinthia Foss did not have such a pleasant day. She came down with a “severe toothache” and had to go home. Frank Morton Ames offered his services as driver and stayed out late, his mother noted. Lively young man that he was, he wasn’t inclined to turn in early. Was it the stormy weather or the company of Ellen Howard and Orinthia that held him at the Howards’s house? Did Evelina wait up for him? Or did his father wait up for him? How did that go? *Jack Larkin, The Reshaping of Everyday Life: 1790 – 1840, New York, 1988, p. 63.